Freyssinet Team shows that we can work safely and ensure that work were carried as per requirements. 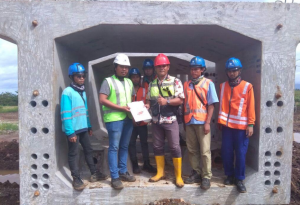 Freyssinet received two safety awards from clients in order demonstrated good safety culture on the site In November 2017, Freyssinet received safety awards from our client Nindya Karya at Notog railway bridge project to demonstrating good safety culture on site. 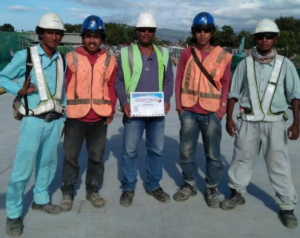 In January 2018, Freyssinet Team in Comoro Bridge Project received Safety Award from Tobishima Corporation as a Main Contractor in this Project for outstanding achievement and safety demonstrated by Freyssinet team on this project.